At the beautiful Mont Blanc in Laval for Michelle and Johnny’s wedding celebration! We had Franco Caruso MCing the night in English and Italian, and Stefan DJing. Michelle surprised Johnny with a air hockey rematch that we set up for them, it was quite exciting! Michelle also planned another surprise, this time for her father. She provided us with audio clips of her signing as a child, that we mixed over the father-daughter dance. What a night! Have a look! 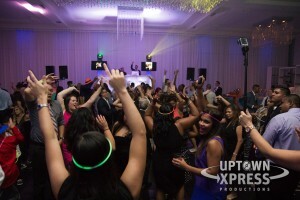 If you are looking for a wedding DJ in Montreal, Brossard, Laval, Rigaud, Tremblant or Ottawa, Uptown Xpress is your best choice for an unforgettable wedding entertainment experience. 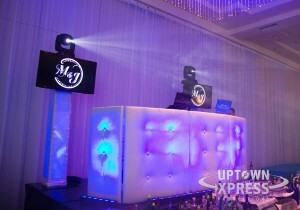 We are one of the most popular wedding MC’s and DJ’s in Montreal, contact Stefan at 514-297-3508 or stefan@uptownxpress.com to begin your experience today!